Clapton: I did, yeah. A fantastic event. I loved it. Kot: Was the music up to snuff? Clapton: For me, Muddy [Waters] and Van [Morrison] steal the show. Van doing "Caravan" with the leg kicks. Some of the greatest live music you'll ever see. 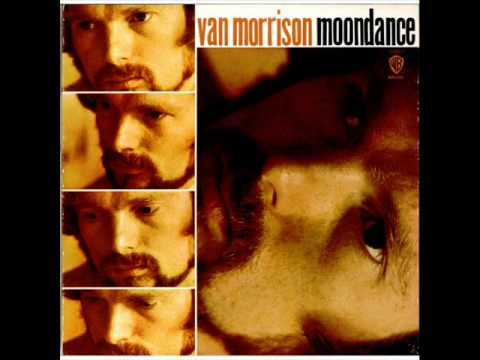 The impact of Van Morrison’s Moondance album continues apace even decades after its release. Although the title track and "Into The Mystic" seem to be both fan favorites and pet songs of the critics, it is "Caravan," which truly will rock your gypsy soul. "Caravan" seamlessly blends all of the main elements of Rock’s vaporous, swirling cloud of all kinds of music. It is bluesy, folky, jazzy, soulful, lyrically complex and completely tight in its arrangement. And it is produced flawlessly. In the 2000s, various studio outtakes were issued for the pleasure of true fanatics. An argument for being on the album could have been made for each of the rejected takes. There is a slow-to-medium rocking feel to "Caravan"; saxophone bits that recall the best of Motown and Doo-Wop; a vaguely honky-tonk piano; a bouncy, bubbly base line; and a sweet, friendly acoustic guitar. The1969 studio version of "Caravan"
Morrison’s voice had just entered its peak period (which lasted decades). He blues-shouts, bends sound. He coaxes and massages words and phrases as if he were a living trombone. Much of his phrasing in "Caravan" is among the most inventive in all Rock history. "Caravan" includes images and impressions from different parts of Morrison’s life, especially observations of gypsy life. Known as "Travelers" in Ireland, they inspire the tune’s broad motif. “Emma Rose” is a very popular first-middle-name combo in Morrison’s native country. And his time in Woodstock, New York, informs the “turn up your radio” images, as well as his soul-stirring tribute to his then-wife, Janet Planet. America has had many dystopian moments scattered about in many places surely. The region around the Hudson Valley and the Catskill Mountains in New York, 75 to 100 miles north of New York City, is one of the few utopian-washed regions of the United States, one that exists not solely in reality, but also in memory, due in significant part to the legendary festival named Woodstock, which was staged some 30 miles away in Bethel. Some of the 1960s' greatest music was either written, produced or sparked by the mellow landscape that is one part hillbilly, one part old New England and one part urban sophistication. The Band’s Music From Big Pink and their eponymous classic, The Band, grew from the nourishment of Catskill Mountains water. On a third album, Stage Fright, in a song called "Time To Kill," they cite the Catskills as a place for a rollicking good time in the summer (which it can be). Bob Dylan’s album, John Wesley Harding also has the smoky, cozy feel of Woodstock, where Dylan went to rest after his 1966 melt-down and motorcycle accident. Even if the work is austere and surreal, it drips with Americana. Dylan’s manager for the first part of his career, Albert Grossman, built Bearsville Sound Studios in the region. It has catered to some of the greatest Rock and pop musicians of all time. 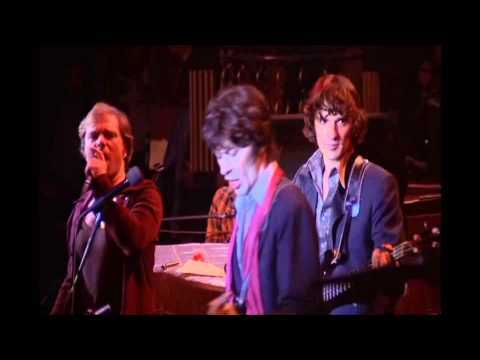 Of course, Van Morrison also quite consciously draws on the region’s lore throughout a handful of his albums – His Band And Street Choir and most pointedly in Tupelo Honey, which features a song called "Old Woodstock." Van has a way of celebrating life and love in a way few other artists do. A bit eccentric and curmudgeonly in person, songs like "Caravan" show us a performer/composer with an enormous heart and a deep affection for the pleasures of the here and now. Many of the musicians who worked on “Caravan” were native to the Catskill region or had gravitated there from New York, Boston and Buffalo because of the “artsy” tradition around Woodstock. One back-up singer on “Caravan” is Cissy Houston, mother of Whitney, aunt to Dionne Warwick, and cousin of opera great, Leontyne Price. Cissy also did back-up session work for Elvis Presley, David Bowie and Aretha Franklin. Brown Eyed GirlLiterally, everyone from 7 to 70 loves it. It can't be set aside as just another hit song. "Making love in the green grass, behind the stadium." WavelengthA Rock-N-Roll jewel, perfectly cut, highly polished, gleaming back and forth through the dusky hallways of time and experience. Wilson trills and chirps, his voice an instrument playing against a bold, brassy horn section, both talking back and forth to each other. The Catskills and Woodstock - way more than a festival.